Fredericksburg, VA, July 16th, 2018 – The Imaging Center for Women, a provider of Medical Imaging of Fredericksburg (MIF), has been serving the Fredericksburg region since 1998. MIF has expanded their women’s imaging services into Stafford and Spotsylvania in order to make services available to more women. The Imaging Center for Women (ICW) provides both traditional and 3D mammograms to women. 3D mammograms have a 35% better detection rate and result in fewer callbacks and biopsies. That’s great news considering the amount of anxiety many women experience when waiting for their results or from being called back for a false positive. Because of their increased effectiveness, many insurances are beginning to cover the cost of 3D mammograms. According to the American Cancer Society, 41,400 people will die from breast cancer this year. In 2015, the CDC released a study that showed only 65% of women had received a mammogram in the past two years. With a simple screening that’s covered by insurance, we could detect and treat cancer earlier, potentially lowering the deaths due to the rapid spread of breast cancer in the body. Why do you need a mammogram every year? Medical Imaging of Fredericksburg is a partnership between Mary Washington Healthcare and Radiologic Associates of Fredericksburg that offers the community cutting-edge outpatient medical imaging services from sub-specialized radiologists. All of the radiologists at Medical Imaging of Fredericksburg are Board Certified and Fellowship Trained, offering the surrounding community the very best expertise and patient care. 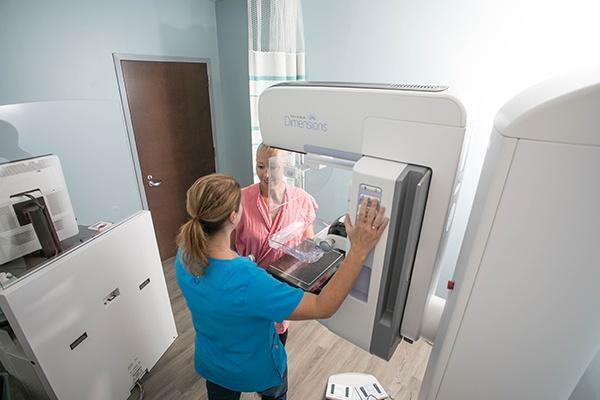 Patients can schedule their annual mammogram at the Imaging Centers for Women in Fredericksburg and Stafford, or at Medical Imaging at Lee’s Hill. Call (540) 741-XRAY (9729) to schedule today.